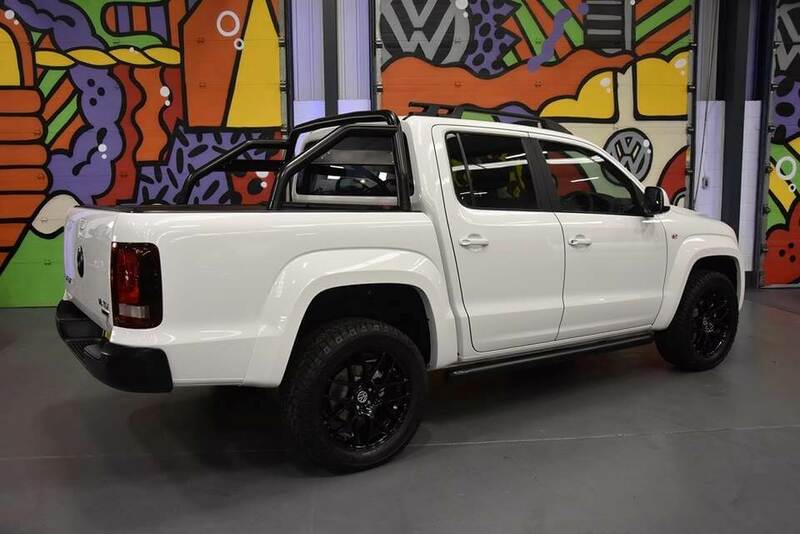 After many weeks of research looking for the perfect components, Leighton Vans is delighted to reveal the first LV Sportline equipped Volkswagen Amarok. Built to the same exacting standards as the Volkswagen Transporter and Ford Custom models, this adds yet another range of vehicle options to LV customers. This first example is based upon a very high specification ’standard’ Amarok. LV has taken the best and made it even better! This ‘First Edition LV Sportline’ enhances a new Volkswagen Amarok 3.0 V6 TDI 224PS Highline DSG 4Motion Double Cab Black Pack. Standard features on this Amarok includes Discover Media Navigation, Xenon headlights and heated seats. The Leighton Vans technical team has added black bars, black grilles and badging. Black Zito alloy wheels, leather upholstery, a lockable rolling load bay cover and black roof rails. 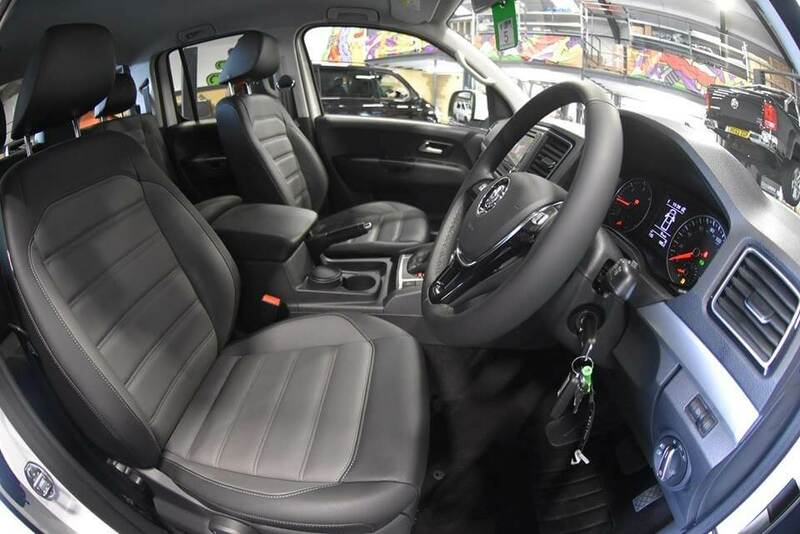 Many upgrades drawing inspiration from the desirable Leighton Vans Volkswagen Transporter & Ford Custom Sportline specification. 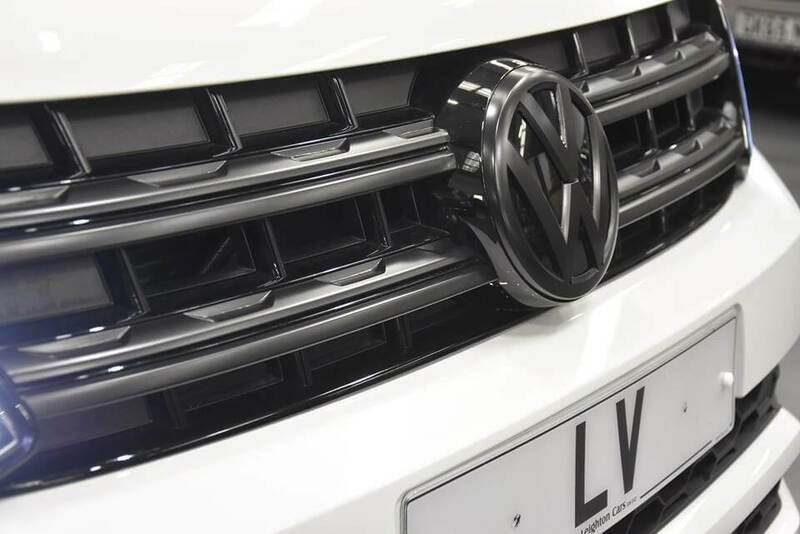 Like all Leighton Vans services, customers can commission their own specific build based upon standard Volkswagen product, purchase, lease or hire vehicles from stock, or employ the LV team to supply and fit enhancements from their range of accessories. The team look forward to this being the first of many LV Sportline Amarok models to leave the Dodds Close HQ.